Richard Todd worked closely with SLP engineering and C&D to create an offshore facility second to none. 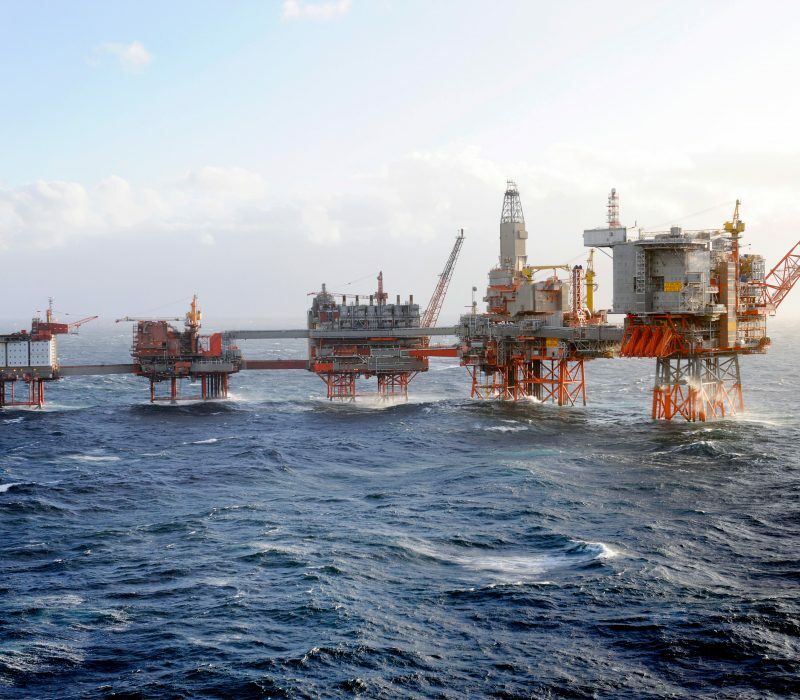 This five star North sea accommodation situated in the Norwegian sector was designed and installed to the rigorous Norwegian standard NORSOK. 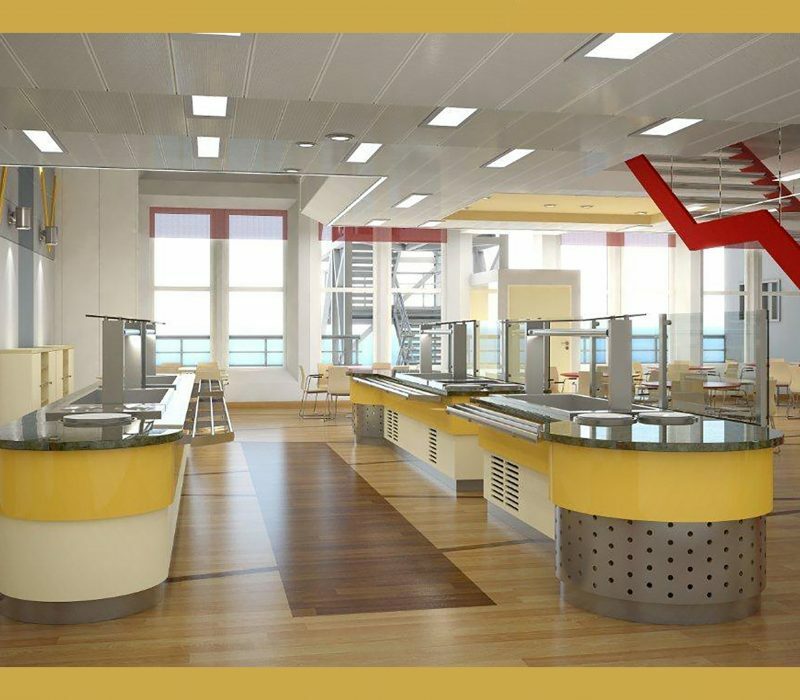 The EFD design team were responsible for the design, supply and installation of the galley, laundry, walk in cold stores and safe area EX rated refrigeration plant and dining room servery counter. This project was delivered over an 18 month project period and was one of the most demanding projects ever engineered within a UK yard. 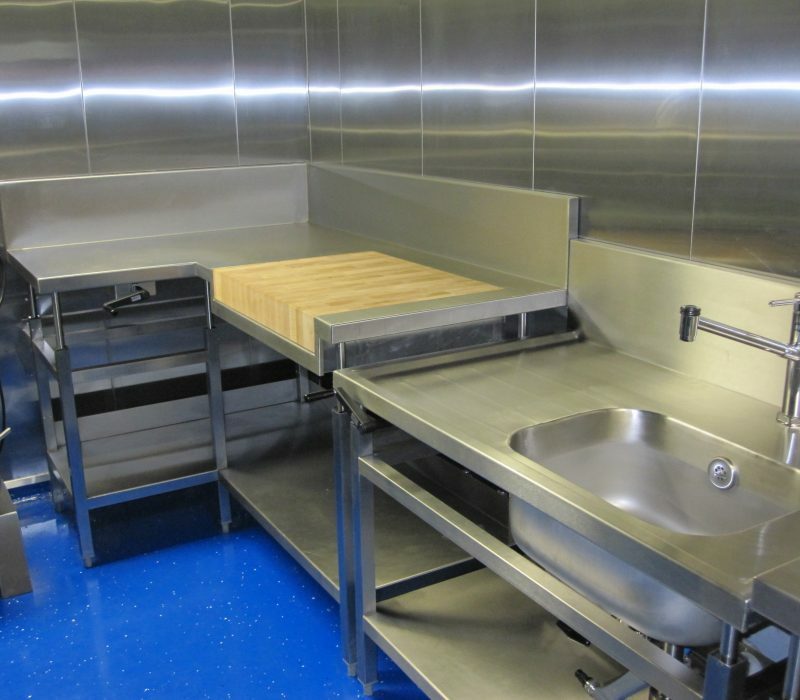 The galley contained some very unique design features including hydraulically height adjustable preparation tables and sinks with water proof height adjustment controls. 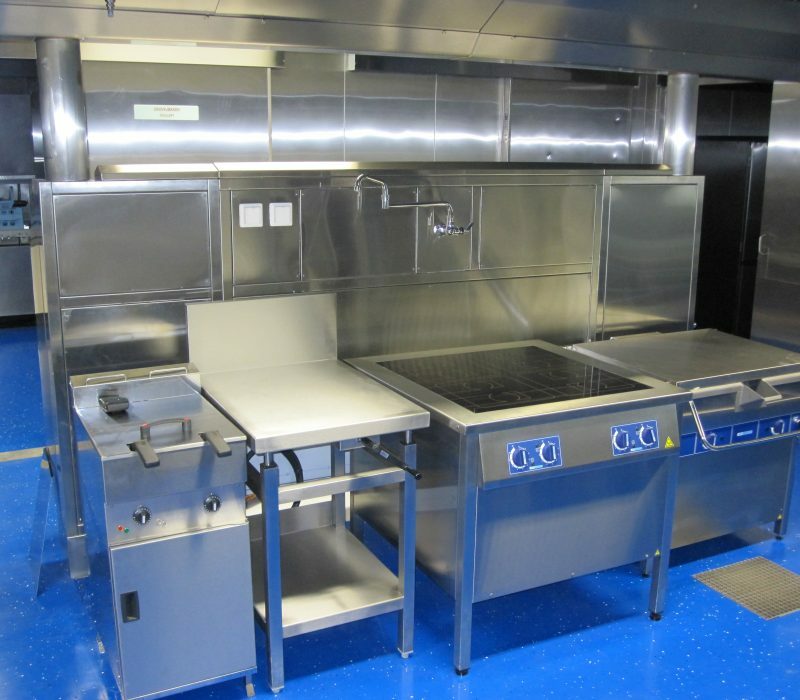 Induction height adjustable cooking tables and Rational Combination ovens. 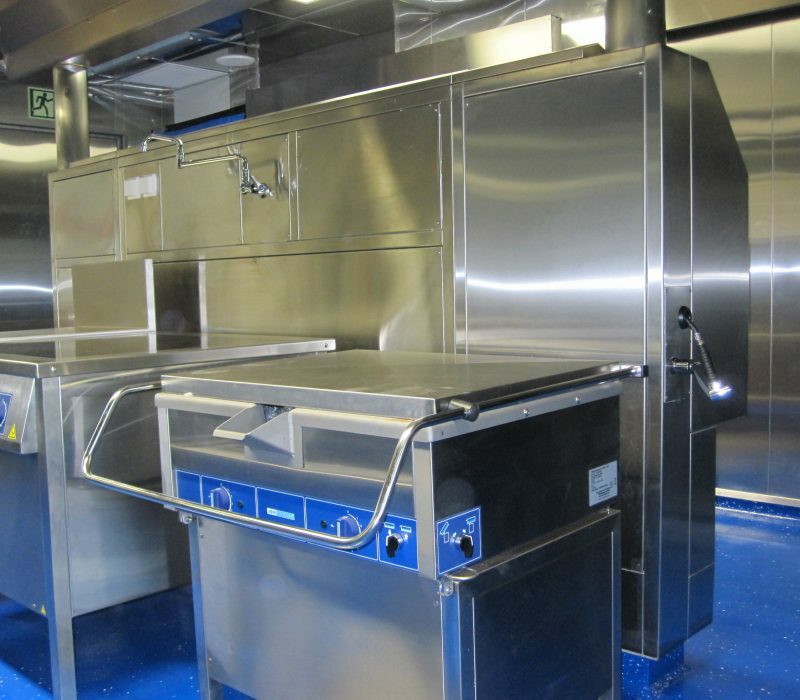 The ventilation canopies were fully marine specification USPH fully welded with a built in self cleaning systems. 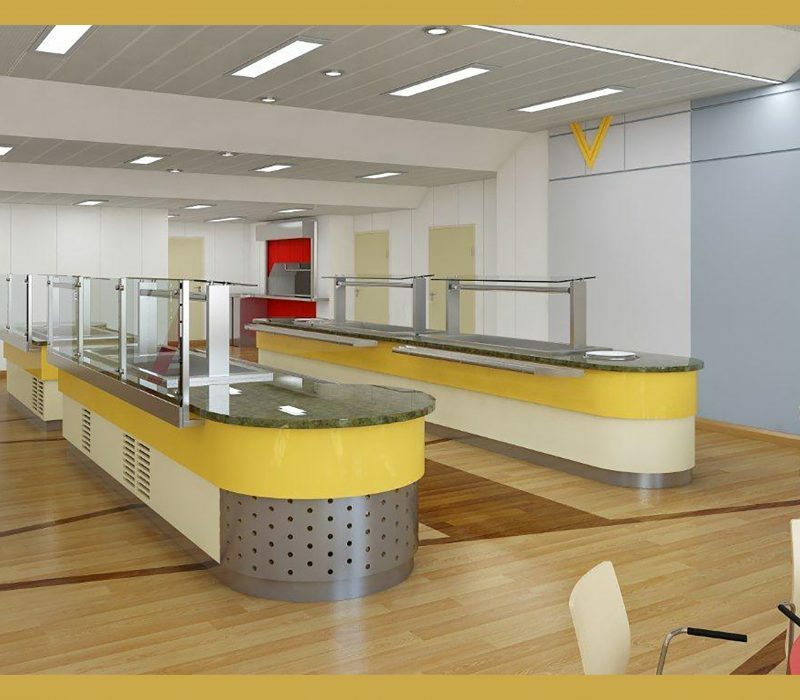 The dining room featured a granite top fully bespoke servery counter with decorative laminate font panels, air supply to the galley dining area was engineered to be through the deck via air supply pods cleverly designed by the EFD team to be part of the servery architectural design. 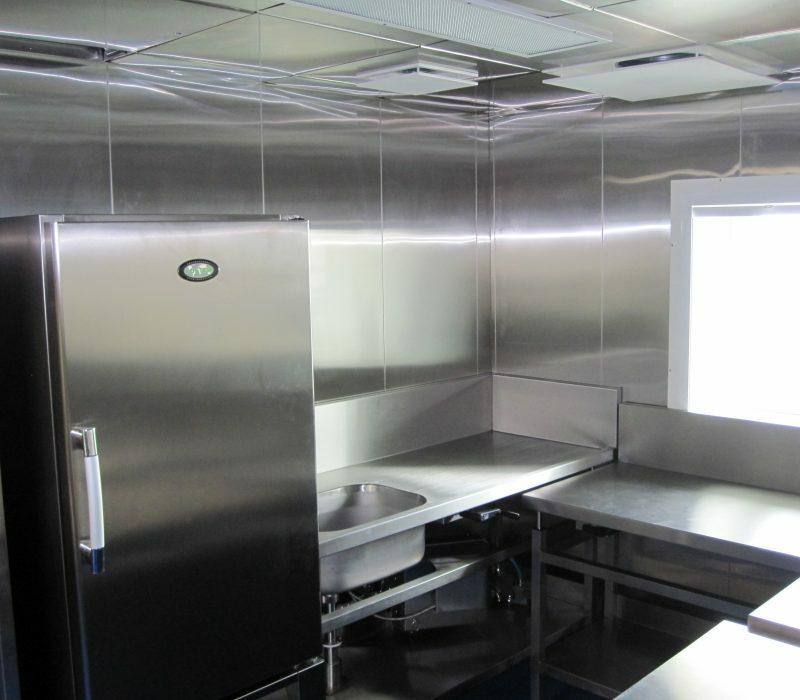 Stainless steel panelled fully bespoke marine coldrooms were designed and installed by Foster Refrigerator under EFD project management. The rooms featured Fermod electric operation sliding doors to save walk way space. 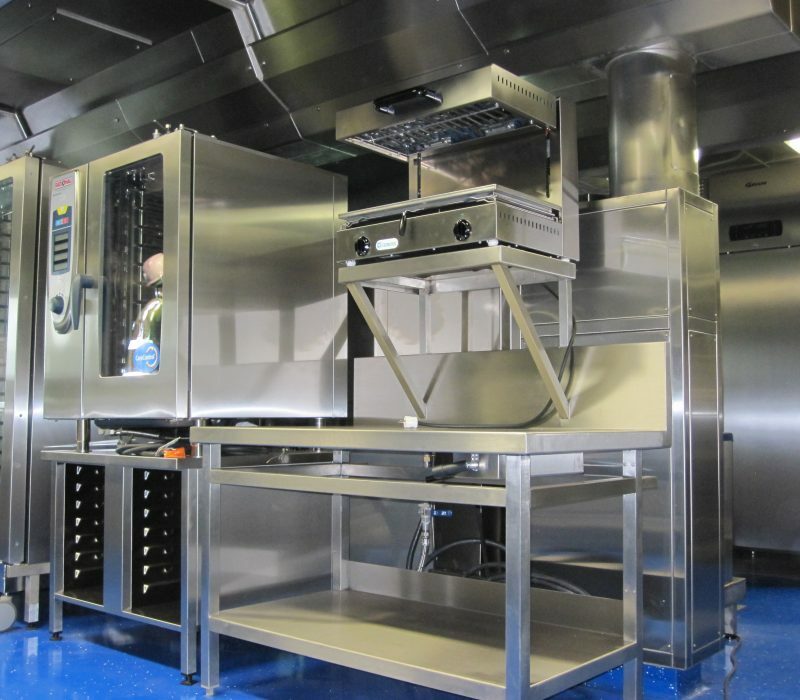 This incredible offshore project was installed by our team and was a resounding success, the client BP were overwhelmed by the quality of Catering Equipment delivered on time and within budget.